For occasional or guest use we supply a range of 2 seat, double futon sofa beds (also called tri fold futons) which are made from New Zealand pine, Malaysian rubberwood or North American Oak. We sell only the best currently available futon frames, ones which are attractive, stylish, strong and easy to assemble. All the frames are supplied with a quality futon mattress made from expensive fillings and there are 3 filling choices, all more comfortable than most being sold on the internet. 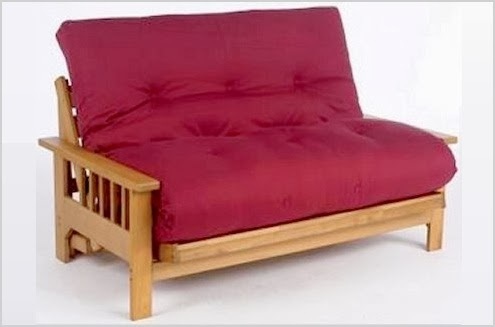 (see the info about the new flexi-pocket futon, which is the most comfortable trifold in the UK) If you want a traditional pine futon, our Oxford and Darwin bases are also stronger than other internet offerings , for easy conversion, the Pangkor and the Tokyo convert effortlessly from the front in a few seconds. Both these models can be supplied with a reflex foam futon which is suitable for everyday use. For a larger room or everyday use see our 3 seat, bi fold sofa bed page.